VanLife Crisis: Transformers, more than meets the eye! Mattress slides forward a little due to curve at back. Wanted to get pics up , it could use some more support in middle and i have an idea on how to replace bungees with something stronger, but I'm pretty satisfied! 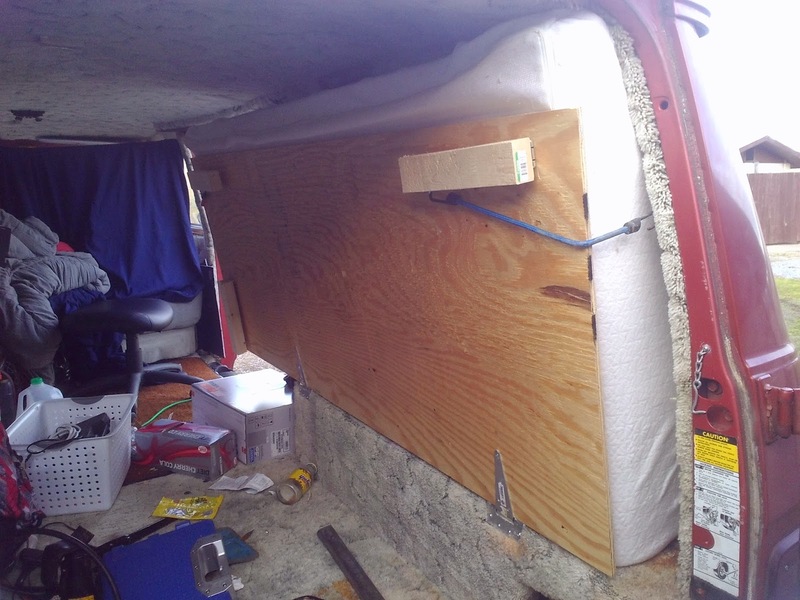 I want to put a tall cabinet that is accessible from the driver side rear door for tools etc, and I am planning to put either a slide out or folding table/desk that goes across the passenger rear door side from the side of that cabinet, so when I put up the bed i can convert to a work space. Bungees and Mattress were on hand. Update: I don't feel, in the end, that the floor space gained by this was a good trade off for the under bed storage you lose by keeping that area of the floor open for use. Maybe if you had to haul sizable cargo for work or something. That's a good idea, don't think I've even seen that setup before. Gives you lot more usable space. 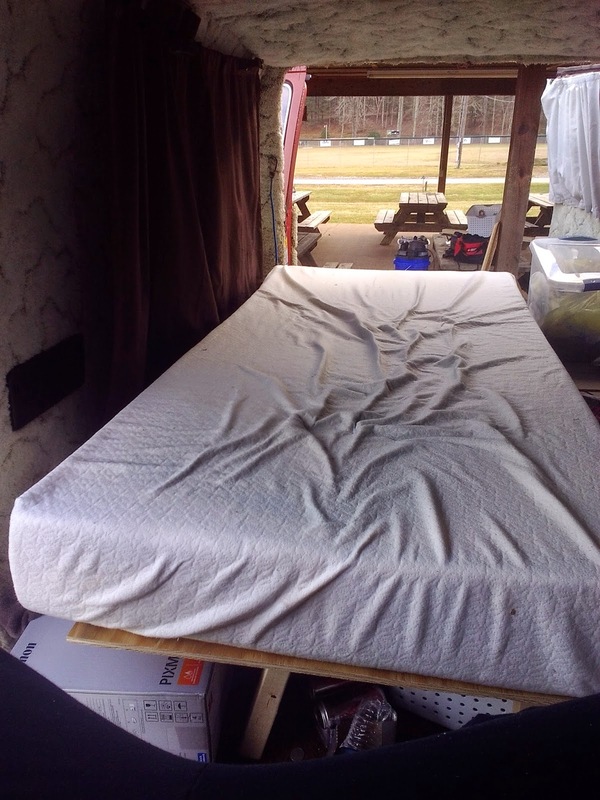 Hey, like this setup, is that a full size mattress? Did you put in center supports? Heya, I did add some support later, tho i sold this vehicle. If i were to do it again i would use 3/4 inch, the 1/2 inch is to flexible. I might have also attached some boards around edge for support (like a barn door). I didnt want to over do it tho, to stay light. The mattress i have is a twin memory foam (72" x 39") that i cut down to 35". Very cheap on amazon. Measure twice? More like 20..